Ok, so chances are if you are a pizzeria owner, you are a super busy person who has very little time to post things online. Some pizzerias are social media moguls who post several times per day on various outlets. They have thousands of followers and can drive traffic to their social networks and into their restaurants with a few taps of their cell phone (or a call to their social media manager!). 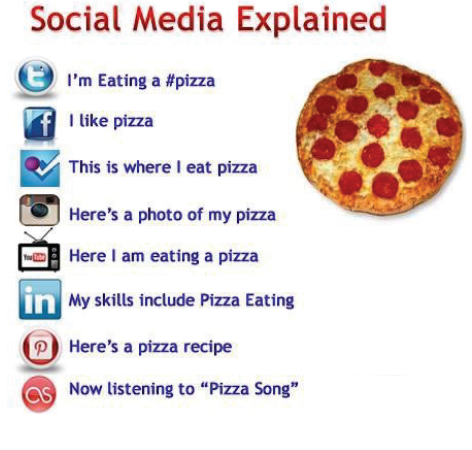 Based on my extensive research of viewing hundreds and hundreds of pizzeria social media pages, most pizzerias do not fall into this category. Many places have a facebook page that is updated a couple times a month, and that's about it. Some don't even have facebook pages, but those who do use facebook likely use it because of the familiarity with their personal facebook account and comfort level using the social media outlet. Some don't even use social media at all, which really is a missed opportunity to open their restaurants to new customers who would not otherwise be aware of their establishment. Some probably throw their hands up and give up on facebook because they don't see results, or their following doesn't grow fast enough. Using facebook for business is a challenge, and it's only getting more difficult because your posts become filtered from people's timelines and frequently fall behind, cat photos, baby pics, quick video recipes, and fake news! There is an easier way and that is a little app called Instagram! Instagram has been around for a while and it is as hot as ever and is so much easier to use than facebook. The premise is built around snapping pics and using hashtags. What is a hashtag you ask? Read on to find out! Snap, Hashtag, Post. It's literally that simple. Unlike facebook where you generally write a small paragraph, Instagram is all about the photos so let them do the talking. 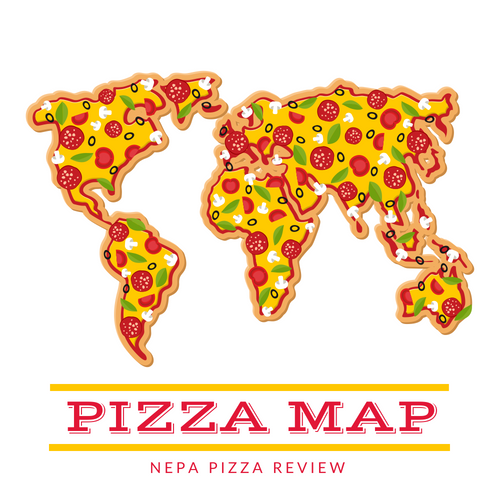 I highly recommend tagging the location of your photo in your pizzeria so that you can build your pizzeria's photo page similar to google maps. When people search your location on Instagram, you want them to see a nice variety of high quality pizza and food pics, not a dark, half-eaten empty box of crust laying in the box that someone took after a late night on the town! Ever take a blurry or dark pizza photo with your smartphone camera? Instagram solves that problem for you because its filters and software take control of the very same smartphone camera and takes far superior pictures. They also have fantastic filters that you can apply after taking the shot. Cropping and editing is also very simple with instagram. I don't know about you, but my wife can't order off a menu for anything. She can't read the words and visualize what food she wants, but if she sees a certain dish she likes just before or during our visit to a restaurant she knows exactly what she wants! Why, because people eat with their eyes. A savvy potential new customer wants to know what kind of food you are serving before they get to your pizzeria. They also want to know what are your featured/most popular menu items. Show them all of this by proudly posting your pizza pics a few times a week. I know what you're thinking, I already have enough to do. Facebook is hard enough. Well, I'll let you in on a secret - Instagram can actually SAVE YOU TIME because you can share to multiple sites like Facebook, Twitter, Tumblr, Swarm, and Flickr all with one tap! This means you snap the pic and can get your pizzeria on 6 different sites in seconds. Talk about spreading the word! It's easy to get frustrated with the slow growth of followers on social media, particularly facebook. Facebook filters your posts out of people's timelines so your most clever posts may never be seen on that platform. Truth be told, Instagram has a similar timeline filter, but in my experience it does not filter my photos nearly as much as facebook does. Using hashtags and location tags helps people find you fast. You can also invite your facebook followers to your instagram page and link them together. I'll write about this technique in a more technical post. There aren't many pizzerias in NEPA who use instagram. Those who do are really at a huge competitive advantage because you can develop a strong local following and also a global following. My NEPA Pizza Review Instagram page routinely gets likes from people in Italy, for example. Getting started with Instagram now increases your visibility online and in the social media space. 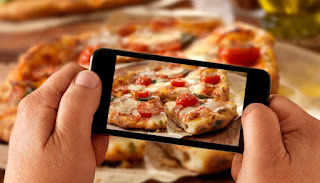 Instagram users search things using #hashtags which are simply a pound sign (#) before a word, or phrase that you use to categorize your photos and make them easy to find for the millions of people looking for #pizza pictures, #pizzaporn #pizzaparty or whatever else they are searching for. I increased my followers by 50% in about 2 months by simply finding a few hashtags that my audience likes to use! Don't believe me? Check out two instagram pages: A Little Pizza Heaven of Scranton, and Mifflin Pizza of Mifflinvile who are active on Instagram. Give them a follow and see what they do to interact with their fans! 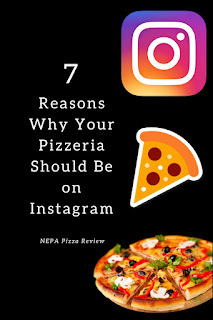 I'm not saying you have to be as active as these pizzerias, but getting started building a presence and following on Instagram and it will pay off in the long run. Plus you'll look way more hip to the millennial crowd!